Hi! My name is DamsonRhee and I'm a rage quitter...still. But you know that, right? If not, you can check out my first Rage Quit post here. Hi! 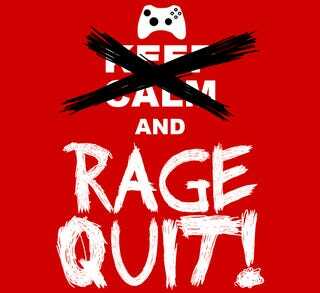 My name is DamsonRhee, and I&apos;m a rage quitter. Anyway, it's time to essentially complain about my ineptitude at games again. This time: vehicle rage! Let's start here: Star Wars Racer. (Did you know it was called that? I always thought it was Star Wars Pod Racer.) I was so excited to get this game and play. And apparently, I'm horrible at pod racing. For a long time, I kept with it. I never did well in the races, but I could squeak by with a top three place, if I tried really hard. And then came that track. I don't even remember what it was called, but along the course was a spot where I fell off the track in the same exact spot time after time. I tried not to rage, but no matter what I did, short of stopping before and crawling by it at a pitifully slow pace, I couldn't conquer that track. And so the inevitable happened: rage quit. You would have thought I had learned my lesson, but no. Next was this. Curse you Jak and Daxter! Why was this so hard? I had to get my husband, with his infinite determination to finish the vehicle sections in the first J&D game. I just couldn't manage to complete any of them. I only quit this one after the second playthrough, when I was determined to complete everything myself. I failed. Miserably. I failed so hard I didn't even buy the other games in the series. So I learned my lesson, right? Nope. Welcome to one of my worst rage quits ever: Rage. It's right there in the title! It was a warning. I ignored it. One vehicle segment: to destroy some other racers. That's all it took. Probably no more than an hour and a half in and I was done. I couldn't figure out how to drive and shoot at the same time. And I had been doing it in Borderlands for months before that. I think that was the real problem. I could do the same things in other games, but not in this one. I never quit because of Rainbow Road, but that doesn't mean I don't avoid it like the plague. So have vehicles made you rage quit? Share away and don't forget about TAYClassic. You can share anything over there.